Navratri Special: She's A Woman! look like a pair of wings. The annual nine night festival of Navratri is upon us and we are in the midst of celebrating the nine forms of Mother Durga or Shakti, the Feminine Superpower in her various forms celebrating victory over evil. In the course leading to the festive fervour, I was constantly struck with this thought of who actually is she that we bow our heads in front of, only to be inundated with oodles of love, care and comfort in return? What compels us to call her the Mother of the Universe, the power behind the creation, the preservation and the destruction of the Universe, the one who remains unperturbed in the face of difficulties and the one who rises above all odds to shine in her innate beauty, wisdom and power. These thoughts led me to this idea on the collaborative post which now leads us to this years festive season special: My Yatra Diary… in an humble endeavour to bring none other but that Supreme Goddess alive, profiles some of the gritty woman pioneers we encounter - often momentarily but almost always leaving a deep impact in our psyche through their natural undying qualities of fortitude, faith, love and many more - in our countless journeys that we take through the road of life. My deepest gratitude to all the wonderful people who took out some time from their precious schedules and came forward wholeheartedly to send me their wishes, pictures, poem and anecdotes that has made this close-to-my-heart piece 'She’s a Woman' what it is, perhaps even better than how I had initially thought it out to be. I hope the heartfelt stories (coincidentally there are nine!) that we read here coupled with the enlightening poem towards the end will enable each one of us to dig deeper for facets in our own character that we never knew we had... and if we are lucky enough to discover one, let's consider that as a blessing by The Mother herself meant to expand our spirit, enlarge our heart and enrich our life for all the years that are to come. Happy Navratri everyone! "Be careful while in Malana, don't touch anyone"... everyone warned me. 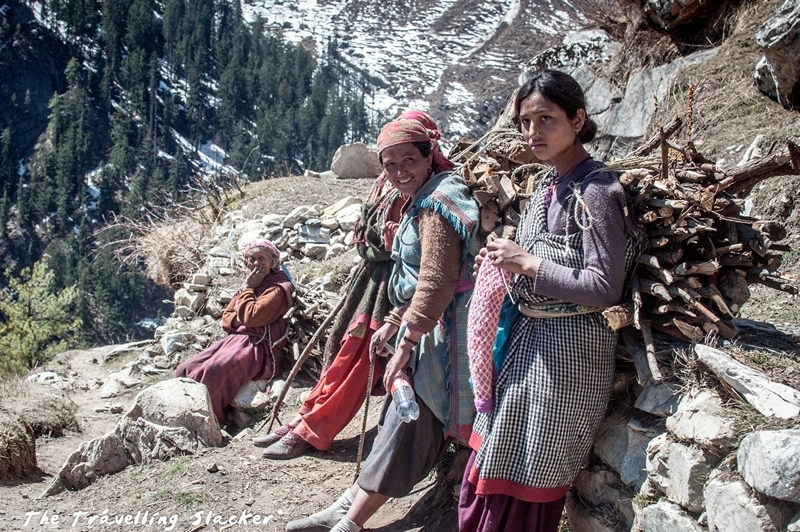 But the first Malana people I came across during the difficult, snow covered trek through the longer route was this group of women. 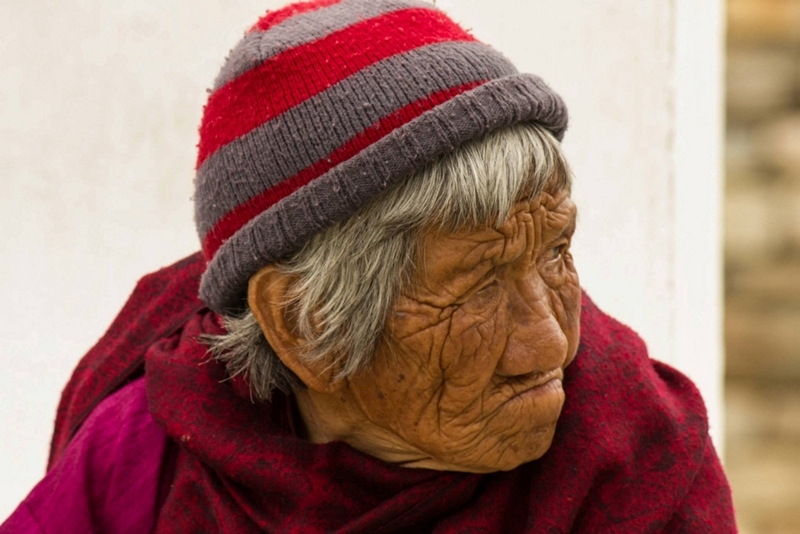 They were just like any other Himalayan women, cheerful, and hardworking. I was somewhat lost but they showed me the way through knee-deep snow and mud. My inhibitions disappeared and I started observing the place with a new pair of eyes. A random lady walking towards Bhrahma temple at Pushkar. I complimented her on her nose ring and with such warmth she said "do you want it?" Stunned , I said , " no no! It looks so pretty on you!" And she gave me the most fabulous smiles ever! 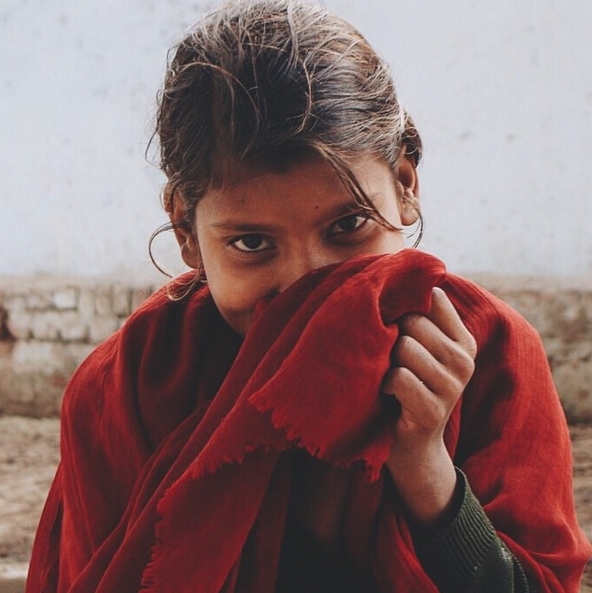 Met Heero a shy girl outside a village school near Chandravali, UP. She told me she doesn't go to school but wants to and will do anything to be educated. 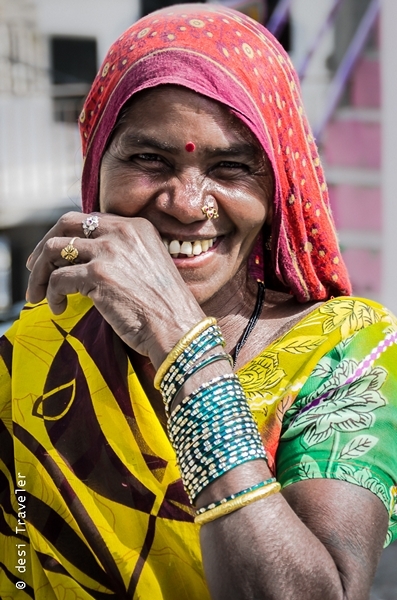 When I wanted to click her million dollar smile she shied away, her eyes still giving away! 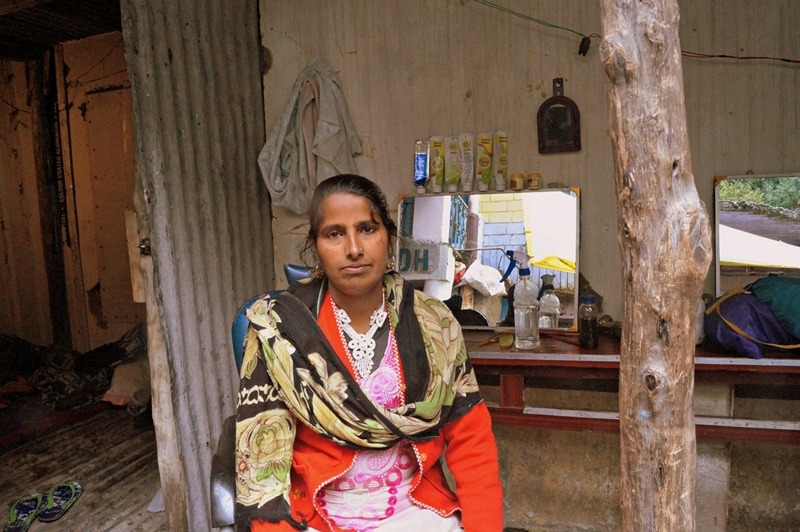 She is a construction worker from Chattisgarh, and was working on a construction project in McLeodgunj in Himachal. When I first saw her she was on her break from the back breaking work she does and I instinctively clicked her picture. But as I normally like to talk to people so I walked upto her and requested her if I can click her picture. She was very surprised but her friends joined in and they said it is okay and persuaded her to say yes. As I pointed the camera she was still blushing and I clicked her pictures. You can see the contrast in the facial expressions and the sparkle in eyes. I had a feeling that just by talking to her and not clicking from a distance I made somebody happy and brought a smile. Also inspite of her poor financial condition and hard construction work notice she is wearing delicate glass bangles, this speaks volumes about her ability to do tough work while still keeping her feminine qualities intact. That to me is the quality of a real strong woman she can be tough as well as delicate at the same time. Just like Maa Durga, she is a warrior and a mother at same time. Thimphu, Bhutan. It was a monastery where I saw her. She said she spent a lot of time there. And she was right, I could find her there every time I went there over that week. I liked looking at her. I can't say it was inspiration that I saw in her. No. It was beauty, beauty in its purest forms. It was also a realisation that beauty has everything to do with peace and clarity: peace of mind and clarity of heart. I met this woman during my trek to the Valley of Flowers and Hemkund Sahib this year, in the remote village of Ghangaria. She is Waheeda and she lives with her two kids in Ghangaria for 4 months every year when the village becomes habitable and tourists flock for the trek. 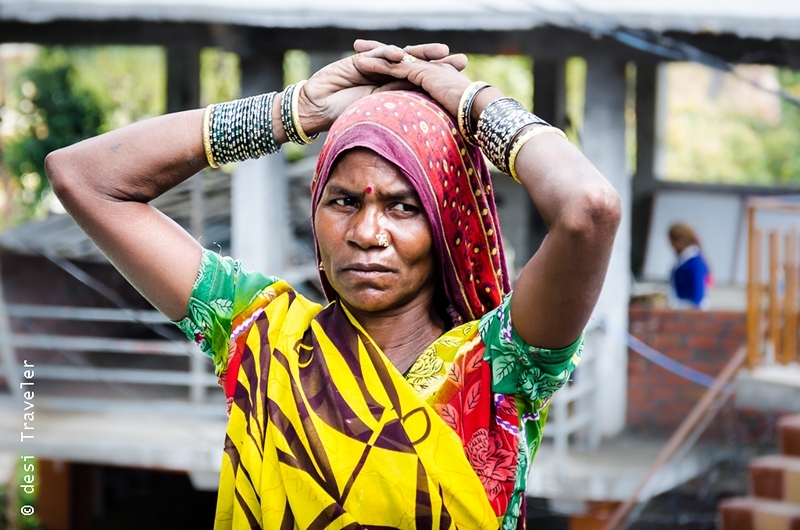 For the rest of the year, she lives in a village in UP. She is 27 years old and lost her husband when she was just 23. She works in the Gurudwara while in Ghangaria and does odd jobs and as a single mom, she has been raising her three children, the youngest son being 5 years old. What inspired me was her will to live the life to the fullest, her love and dreams for her children and the way she carried herself with a smile. Being able to a raise a family independently after having gone through tragedies takes immense strength and I was moved by her emotional strength. Her indomitable spirit to face the hurdles of life and brace the challenges that it throws made me respect her even more. Her name - Sharmishtha Mondol, studying in standard 4th, from Sundarbans. On a random walk through the lush farms on one of the islands, I came across her, collecting live crabs from mudpools in the fields for lunch! And may be some meagre sales too. The day her school was to begin at half day, hence she was helping her mother by collecting crabs in the morning. Muddy hands and face, bare-bodied, the morning sun threatening to roast our skins, she had this serenity about her. 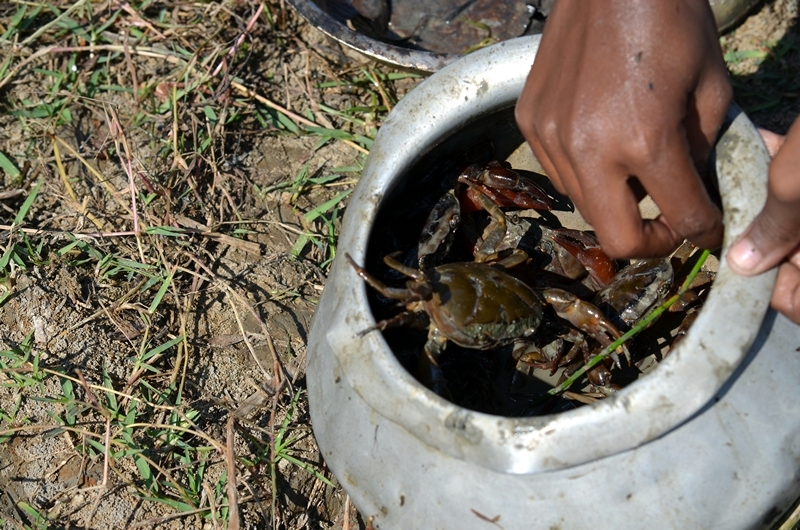 Life was sorted - once the crabs would be collected, she'd scurry home with her younger brother to get ready for school. The struggle so obvious seemed lost on her, for life was what I saw brimming in her eyes. Her poise, her spirit, her spark stays with me, egging me on to look beyond the travails and find my silver lining. It's after all in the mind, isn't it? Backdrop: The islands had been destroyed during the cyclone Aila in 2009, when the ocean broke the island's embankments and destroyed the fields and all establishments within. Sources of income ravaged, boats broken, fishing areas out of reach, already meagre belongings lost - in such times, continuing school might be the last thing on a parent's mind. And yet, boats rolled out soon, ferrying the kids to their schools on nearby islands! She is a woman who inspires me every day. 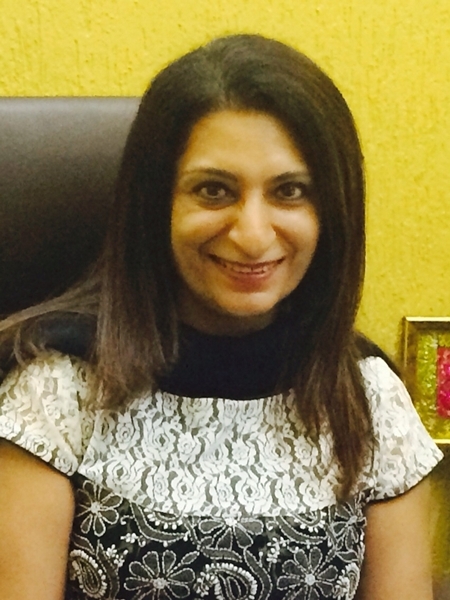 Kamini Lakhani has spent over 23 years working to enable children with autism to lead dignified lives. She is a parent of a 27-year old with autism, and a professional. While most parents of autistic children take care of one child, she has dedicated her life to empower hundreds of parents to build a meaningful relation with their children. While most professionals teach skills to children with autism, Kamini, through SAI Connections (an autism treatment centre she founded) helps them develop the abilities needed to navigate everyday life and live independently. She is Parvathy Baul, I clicked her picture in 2014 at Upvan Art Festival Thane. 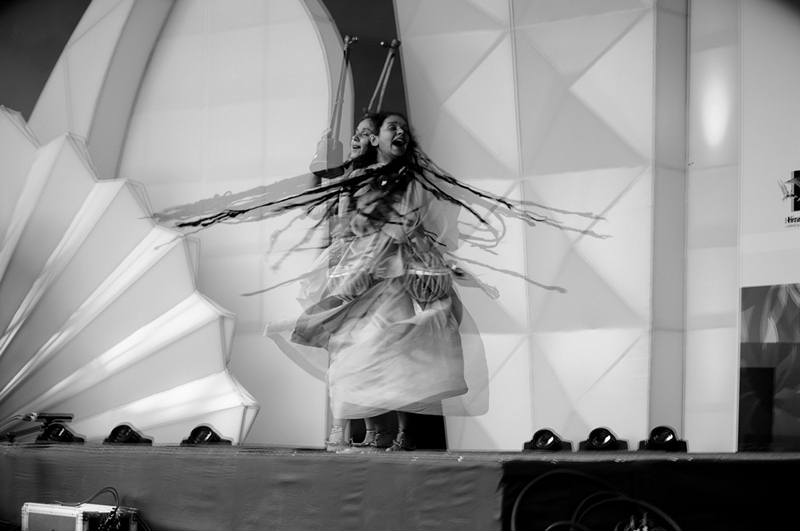 I was visiting the festival for clicking pictures with friends, was totally amazed by her performance. She creates an incredible world where you totally lose yourself and dive in a to search another of you. A little google search, I could find what an icon she is in the Baul Music and Cultural tradition. Against the intricate sculptures in the background, she sat there all alone, and got up when I walked in. With a beaming smile she welcomed me to Nanneshwara temple at Lakkundi. An official guide at the temple, she then took me through the history of the temple, the stories behind the art works and enthusiastically asked me about my bike ride across North Karnataka. She also made sure that she captured a photo of mine against the temple on my camera. 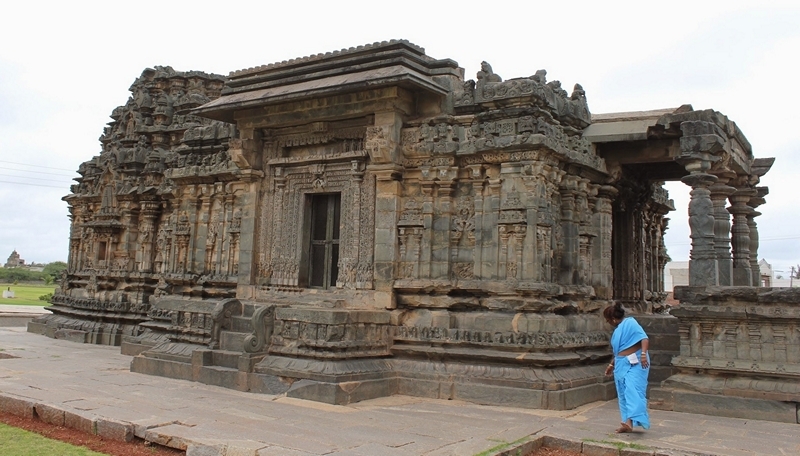 Despite the fact that I was the only visitor at that time and the temple lacks frequent tourists as it isn’t as popular as its neighbours (Badami, Aihole, Pattadakkal), she was all welcoming and eager to show me around. Her exuberance in her work was absolutely inspiring. ~ Poem by Mohini Puranik - Narayankripa. In every form, she meets us. I was waiting for this post since you mailed us about this wonderful initiative "She's a Woman!". And finally it's up! Whenever I hear the word "Power", the first image that strikes to my mind is of "Maa Durga". The energy she induces in us to take challenges and work passionately for the good of society,family and ourselves; always amazes me to the core. So inspirational! The world would have been such a dark place without women, the true torchbearers of hope and compassion. Fantastic post Arti. Wish we could have added you to this list as well, as you inspire me so much! Glad to be a part of this, Arti. Thank you. This is a very inspirational post. Loved every bit of it. Such an Inspiring Post Arti,which transfers you from Rajasthan all the way to Sudarbans from the Hilly Himalayas to U.P ! Reading this Awesome Post : I regret I could not submit the Post ! Arti, Great to read the post, Awesome. Happy Navratri, Jai Mata Di. Truly inspirational Arti! Great post. Thank you for compiling it! Amazing posts Arti and a brilliant time to showcase these stories! Oh such a wonderful post! Your commentary, the pictures and the poem at the end. Thank you so much for sharing! Awesome snaps, narration and sharing of wonderful experiences. Hearty thanks. Damn lucky you are Arti Ji ! Such a wonderful post! I am intrigued with those portrays of the ladies. I will be back to read more to know of the details. I am not fast in English. Have a good day,Arti. Dear Arti – I think this post is one of your masterpieces. I love it. Each and every woman is beautiful. By efforts, can we become like a Mother Durga on earth, with the personality of Her but without supernatural power? I wrote the poem She Is A Woman down on my notebook. This is a wonderful season. You have chosen a beautiful and a very appropriate topic. At this time of year there is appearance of mother goddess in the atmosphere. 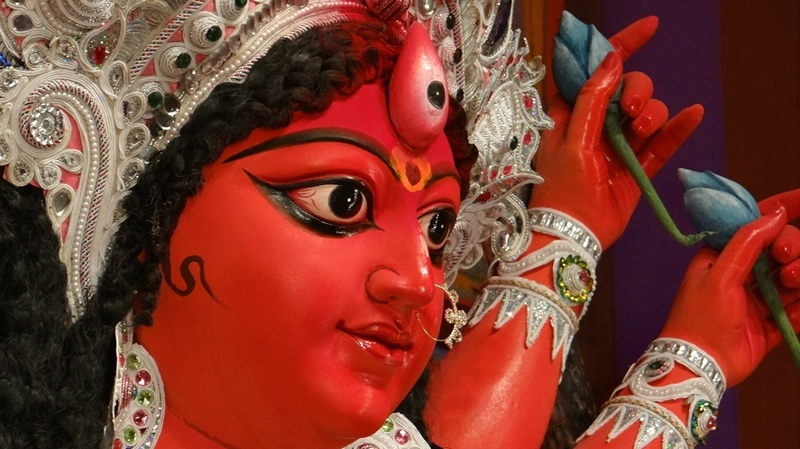 What is the mother goddess? Seekers are searching. We should sit at their feet and learn and hear about mother goddess. I've really enjoyed this post, Arti. 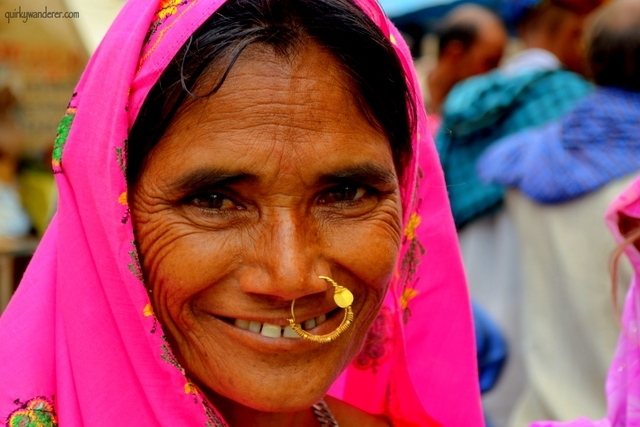 The women profiled in these stories simply do expand the spirit. 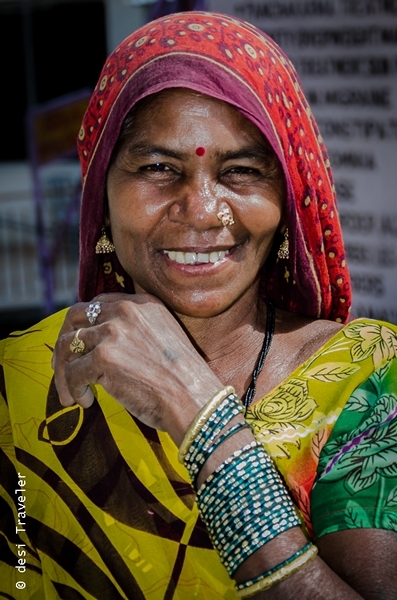 To honor Shakti in all women from many different backgrounds is very fitting. WOW! This is so inspirational Arti! Thanks so much for asking me to be a part of this wonderful. wonderful post. :) What better way to celebrate shakti than this? :) A wonderful curation! Wonderful compilation, nice to see these images. What way noble idea to celebrate the festival. Dear Arti, such a wonderful tribute to women - to the godess within and to the faces that refelct her loving kindness and great strength! Your portraits capture the warmth and the live in each person - thank you for sharing! And thank you for visiting me - made me happy! Have a lovely start to your week! Shows the power of women. This was such an inspirational post. I remember you posting about contributions from fellow bloggers for the dusherra post and wanted to read this ever since but college kind of got crazy. I am glad I saw this post and took time to feel every sentiment this post had. Loved it. Very inspiring read...Each and every woman lives life without letting struggles overtake her courage....Truly great...!